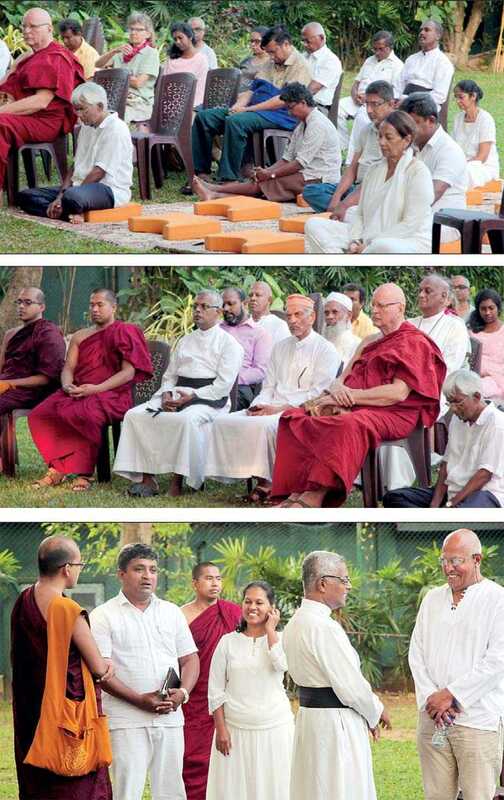 Early on Saturday morning, 2 February, a diverse group of people sat in meditation beneath the Banyan tree at the Sri Lanka Foundation Institute, in Colombo. 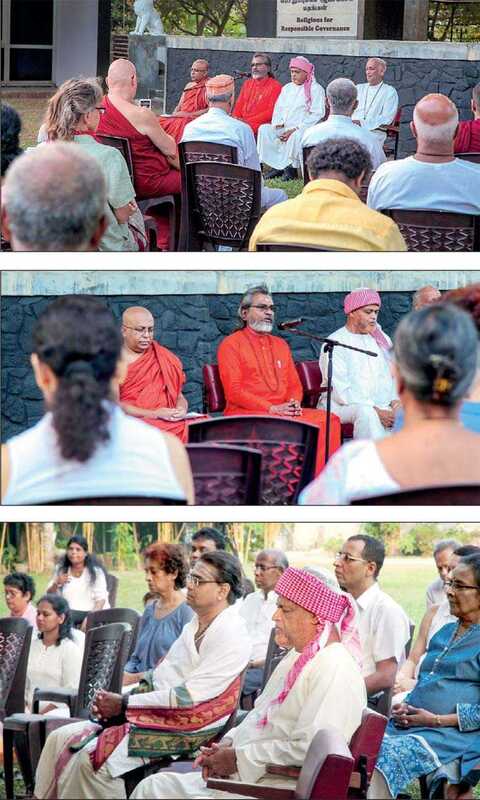 The group, members of Sri Lanka’s four major religions, Buddhism, Hinduism, Islam and Christianity had gathered for a prayer-meditation on the role of religion in responsible governance. The one-and-a-half hour program was conducted by leaders of the four religions, and was a prayerful reflection on whether our religions have united people and facilitated coexistence or acted as a divisive and destructive force during the country’s 71 years of independence. The meditation was led by the Ven. Galkande Dharmananda Thero, Swami Gunatitanada Sarawvati, Sheikh Siyad Ibrahim and Bishop Duleep de Chickera. The second of a series of programs aimed at removing barriers and calling for responsible governance, Saturday’s session was also an inner reflection for all responsible citizens, to collectively and spiritually evaluate where and how we have failed in achieving this goal of peaceful co-existence. The organisers held a similar prayer-meditation on 15 December 2018 at the same venue to develop spiritual energies to help citizens face the fear, confusion and concern resulting from the political turmoil in the country at the time. Religions for Responsible Governance is a collective of religious leaders and lay persons sans any political affiliations. RRG promotes a people based approach that would ensure ethical behaviour, integrity and values in governance.